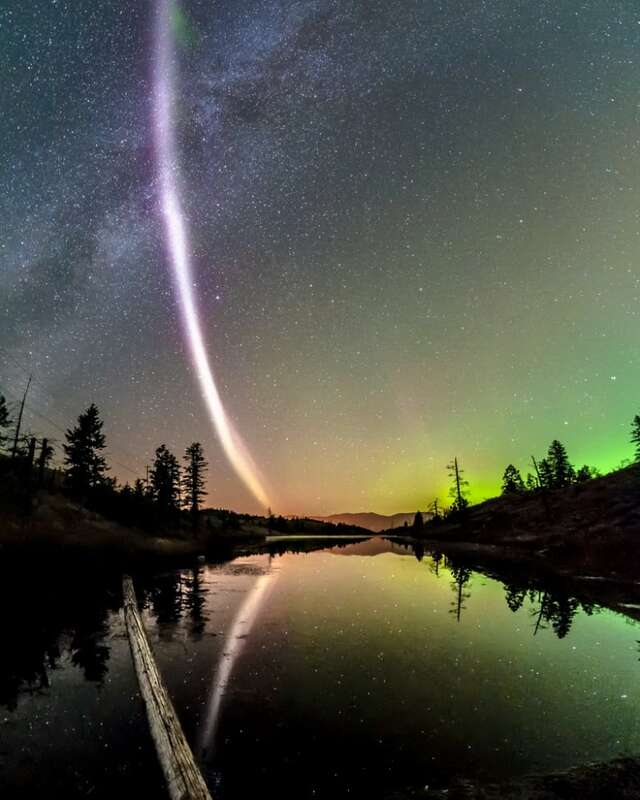 Alberta sky watchers chasing the northern lights have partnered with scientists on the discovery of a curious ribbon of purplish light that everyone is calling "Steve." The feature is attracting attention for its unexpected name, as well as how it was discovered. 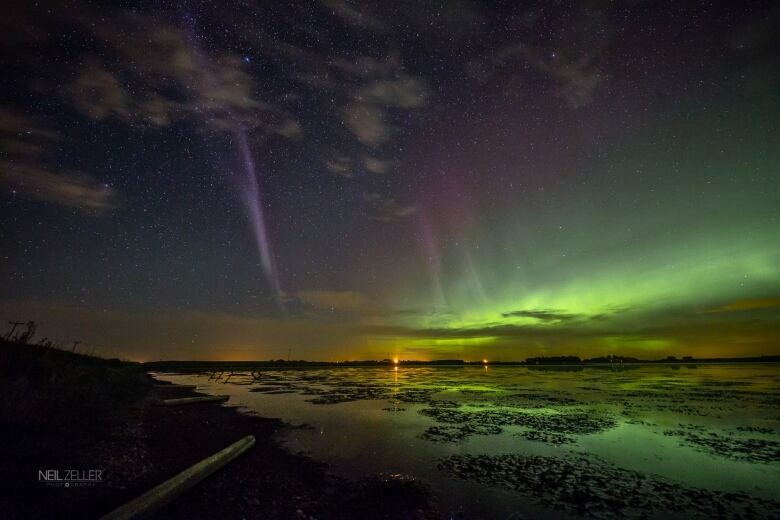 Alberta sky watchers chasing the northern lights have partnered with scientists on the discovery of a curious ribbon of purplish light that everyone is calling "Steve." The feature is attracting attention for its unexpected name, as well as the way it was discovered, said Eric Donovan, a professor of physics and astronomy at the University of Calgary. "It looks a lot like a traditional auroral arc although the colour is a bit wrong," Donovan told the Calgary Eyeopener. "We have seen it from Hudson Bay all the way over to Alaska in our data, and so it's like someone reached in from space and drew a line with a purple magic marker across the Earth." While photographers have been taking pictures of the phenomenon in the night sky for years, Donovan said a serendipitous drink at a pub near campus last year prompted the recent interest from scientists. Donovan and members of the Alberta Aurora Chasers Facebook group chatted following a talk at the University of Calgary with a NASA scientist and aurora borealis expert. "Social media has provided a bridge between these amateur sky watchers, who are very talented photographers and very prolific finders of the aurora, and the scientific community," Donovan said. Talk at the pub turned to a photo of what aurora chasers were calling a proton aurora. Donovan told them that was incorrect, as proton aurora are not visible to the naked eye. "Myself and some other scientists decided we were going to try and figure out what this thing was," Donovan said. Chris Ratzlaff, a photographer and the administrator for the Alberta Aurora Chasers Facebook group, came up with the name Steve. The idea came from a scene in an animated movie he'd recently watched, Over the Hedge, in which animals are scared of an unknown something on the other side of a hedge, and decide to call it Steve. "It's a completely meaningless name, which is really useful for things that aren't understood," Ratzlaff said. After talking with Donovan, Ratzlaff said he wrote a post to the Facebook group encouraging people not to call the feature a proton arc, but to call it Steve until more was known about it. "It kind of stuck from there," he said. Donovan and his colleagues went on to match data from the European Space Agency's Swarm mission of satellites, a network of all-sky cameras, and a ground sighting of Steve to learn more about the feature. Steve is a ribbon of very hot and fast moving gas, Donovan said, moving at a speed of about six kilometres per second in a westward direction. "Now what we're doing is trying to figure out what is exactly causing this, why the gas is moving so fast, why it's so narrow, why it's so long in the east-west direction and why it's so common," he said. Ratzlaff first saw Steve in the summer of 2014, while photographing strong aurora near Calgary. He initially thought the light was a contrail from a plane reaching across the sky, until he took a photograph. "You could tell it was self-illuminated rather than lit up from the ground, like the contrail would be," he said. 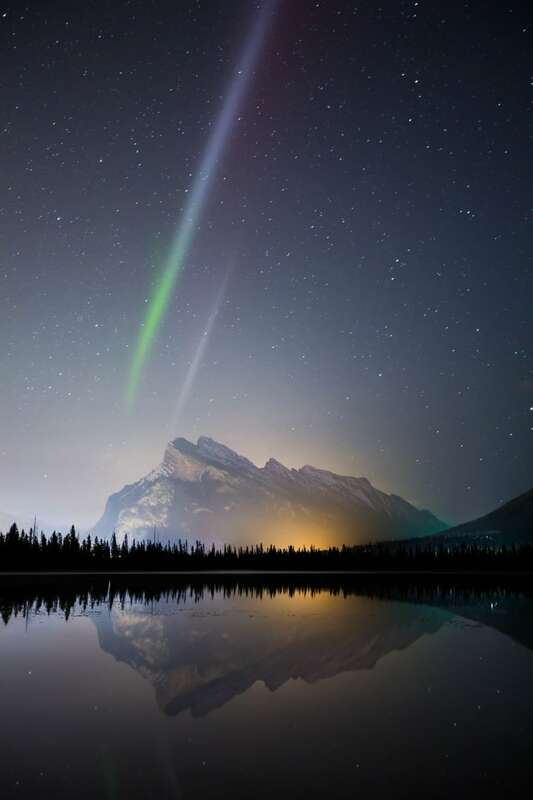 Paul Zizka, a photographer from Banff, Alta., first photographed the feature now known as Steve in 2008, while capturing northern lights at Lake Minnewanka, and has photographed it about 10 times since. "It's always this fairly broad, white, purplish band, and it always shows up perpendicularly to the aurora," he said. "It's quite static in comparison with the aurora. It will often stay in the same spot for 20 minutes, so in some ways it's easier to shoot than the aurora. You actually have time to compose without it moving all over the place like the aurora does." When Donovan presented the discovery at a meeting in California in December, a colleague in the audience offered his thoughts on the name. "He said, 'What you have is a sudden thermal emission through a velocity enhancement, which would make Steve the actual correct acronym,'" Donovan said. "I think we might actually leave Steve as the name, and it's nice because it's fun. It injects a little bit of fun into our lives as scientists — not that we don't have fun, but this is more fun than normal."